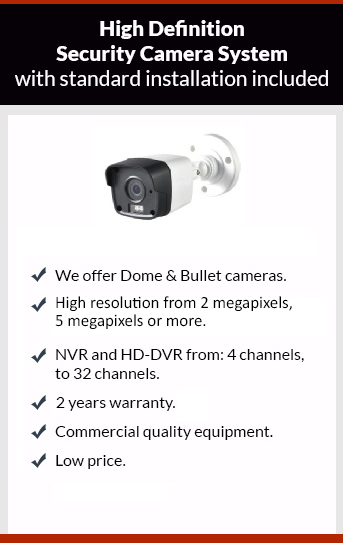 Get affordable Security Camera Installation on Westminster, CA and CCTV equipment with commercial quality and 2 years warranty. We have been working on Westminster, CA since 2005; we provide high quality Installation and commercial grade CCTV security camera equipment. The clarity of the picture is one the most important feature on security cameras, the second one is the night vision. Our security cameras has a crystal clear picture, and the infrared range goes from 60 feet to 150 feet, with this feature you’ll be sure that you are getting the best system from protection4less. Our security camera systems use a very friendly free smartphone app for remote viewing; you’ll have access to your security camera remotely on any place. Give us a call to get your appointment for your free estimate.